Born in Redwood City, California, and raised in El Salvador, Dr. Galdames is fluent in both English and Spanish. 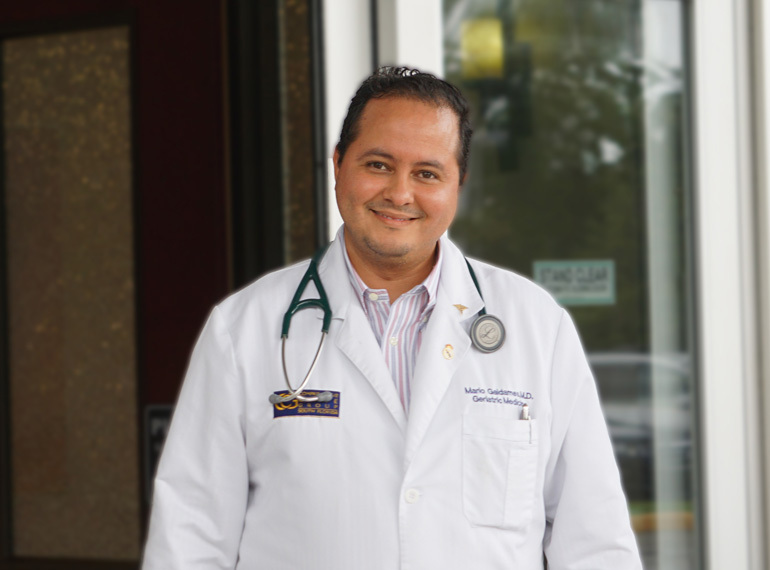 He graduated from the Universidad Alberto Masferrer in El Salvador in 2000 and completed his residency training in Family Medicine at the University of Illinois in Rockford and Dixon, where he served as Chief Resident. Galdames continued his studies with a fellowship in Geriatrics at the University of Wisconsin, Madison. Dr. Galdames has been practicing in South Florida since 2008. His area of interest is adult and geriatric medicine and includes visits to hospice patients, nursing homes, assisted living facilities and independent living communities. He is particularly interested in memory problems and fall prevention and understands the importance of communicating with patients and their families in order to make the right decisions for their health.